Steven S. DeKnight is game for making a Moon Knight series for Netflix. DeKnight was the showrunner during Daredevil season 1, but carried a reduced role on the show moving forward. Still, he has a connection to Marvel and, assuming they ever want to make a series based on the supernatural crime fighter, he's game to do it. The subject of a potential Moon Knight series has come up many times in the past. It's a Marvel character that may not be a huge name to the general public, but one that represents ripe story opportunity. While promoting the release of Pacific Rim: Uprising on home video, Steven S. DeKnight was asked about the possibility of including the character in Daredevil and revealed that he is into the idea of doing Moon Knight as its own show. Here's what he had to say about it. "I never considered including Moon Knight in Daredevil. Somebody asked me on Twitter a while back if I would do Moon Knight and I've always been a huge Moon Knight fan and yeah, if I had the time in my schedule and the stars aligned, I'd love to do Moon Knight. I mean, I love the whole multiple personality. Is he crazy? Is he not crazy? Has he really gotten these mystical powers? Are they supernatural or is it all in his head? I think it would make for a very, very interesting Marvel universe kind of Netflix show. I also hope they'll expand and give him a shot sometime." In case you're not familiar, Moon Knight first appeared in the world of Marvel Comics back in 1975. He was eventually given his own series in 1980. Marc Specter is the man behind the masked. He's a crimefighter who got his powers from some ancient Egyptians and his power is fueled by the moon (hence the name). As a result, he is most powerful when the moon is full. He has prophetic visions, which aid him in his crime-fighting endeavors, as well as being a skilled boxer, martial artist and pilot. He's sort of like Batman, but with a supernatural twist. As DeKnight points out, there is the whole, is he crazy, is he not at play as well. James Gunn at one point pitched a Moon Knight movie to Marvel Studios, but he admittedly doesn't have time to do something like that given his commitments to Guardians of the Galaxy. Marvel Studios President Kevin Feige recently teased that the character is in play for the MCU as well, but that may be a long way off. Ultimately, it could be a race to see whether or not the character shows up on the big screen or the small screen first. If there is a movie planned for Phase 4 of the MCU, we likely won't know until after Avengers 4 is released. If a show happens, it could end up being for the Disney streaming service as opposed to Netflix. This news comes to us courtesy of Comicbook.com. 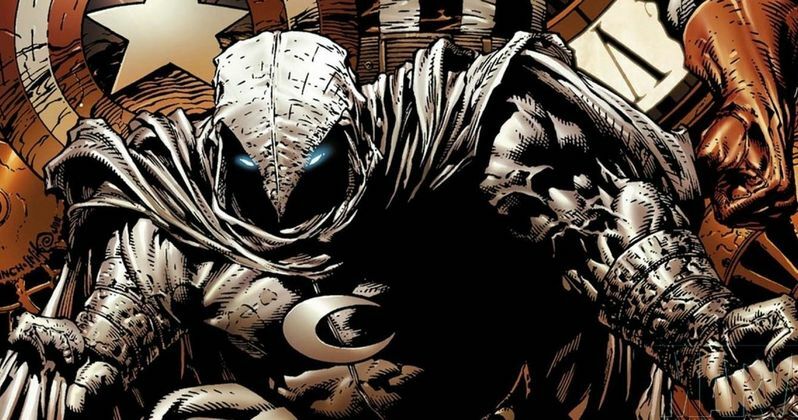 Is Marvel's Moon Knight Getting a Netflix Series?